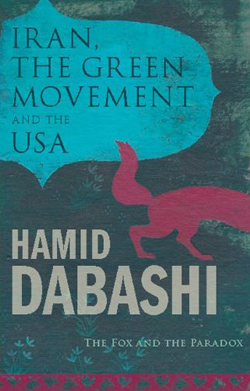 Iran, the Green Movement and the US presents the dilemma that the West faces in dealing with the Islamic Republic of Iran and their nuclear armament, and how the unfolding civil rights movement in Iran (the Green Movement) will be affected by this interaction. Expert Iranian author Hamid Dabashi argues that if Obama negotiates with Ahmadinejad, he will further strengthen the IRI regionally and legitimize Ahmadinejad’s otherwise troubled presidency internationally; and if he were not to do so and opt for further economic sanctions and/or military strikes he will paradoxically strengthen the IRI regionally and altogether destroy the domestic opposition and the budding Green Movement. This elegantly written book presents an Iran weak in domestic affairs, but strong in regional geopolitics.This timely book provides the reader with dynamic picture of the region, and a purposeful analytic of how to understand and deal with it. Featuring a short history of how the US and Iran were placed in this confrontational positions and what are their respective allies in the region. Born on 15 June 1951 into a working class family in the south-western city of Ahvaz in the Khuzestan province of Iran, Hamid Dabashi received his early education in his hometown and his college education in Tehran, before he moved to the United States, where he received a dual Ph.D. in Sociology of Culture and Islamic Studies from the University of Pennsylvania in 1984, followed by a postdoctoral fellowship at Harvard University. He wrote his doctoral dissertation on Max Weber’s theory of charismatic authority with Philip Rieff (1922-2006), the most distinguished Freudian cultural critic of his time. He is currently the Hagop Kevorkian Professor of Iranian Studies and Comparative Literature at Columbia University in New York, the oldest and most prestigious Chair in his field. He has also taught and delivered lectures in many North American, European, Arab and Iranian universities.